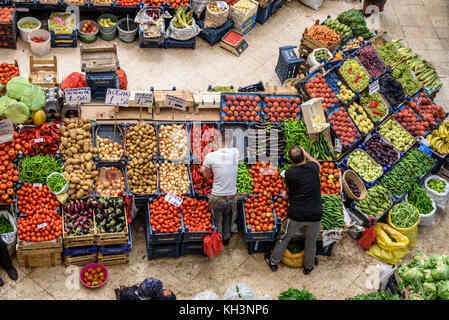 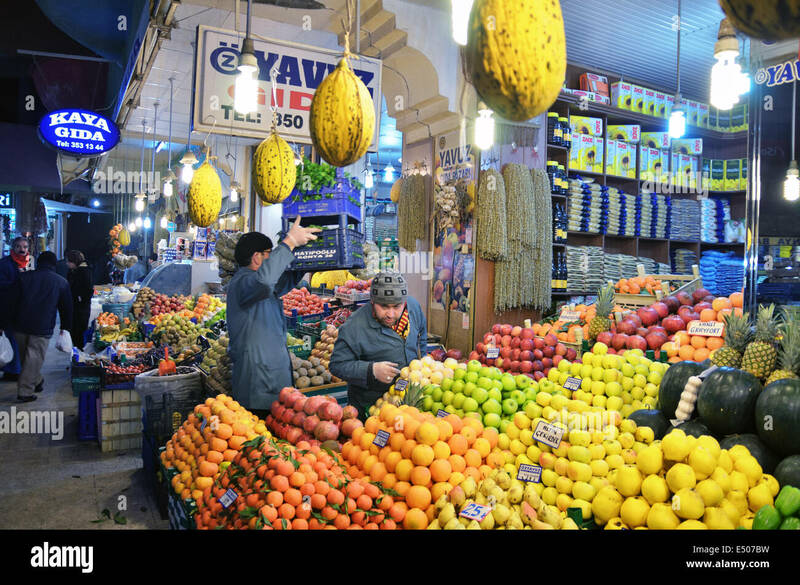 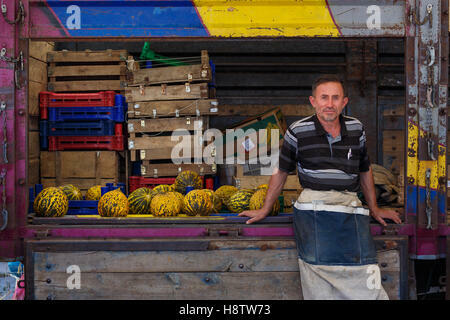 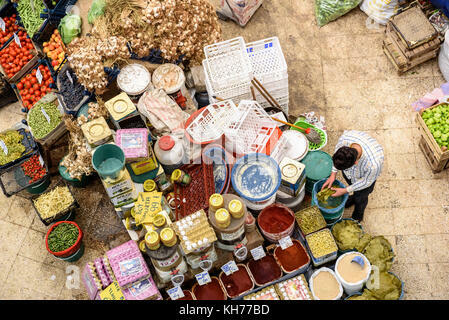 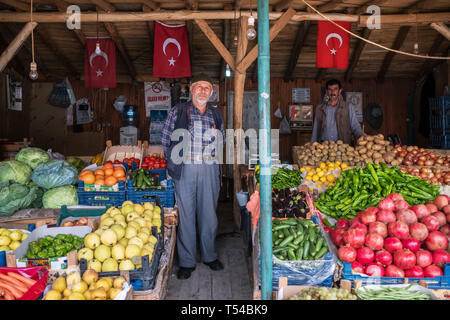 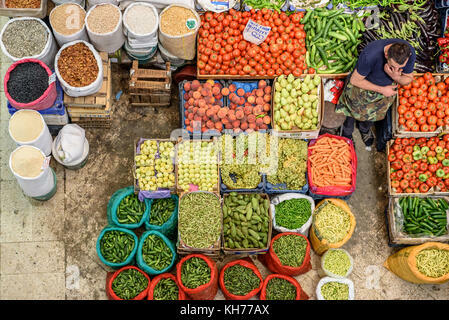 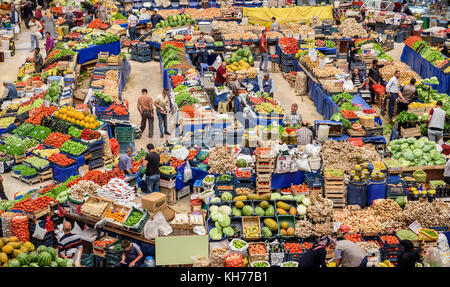 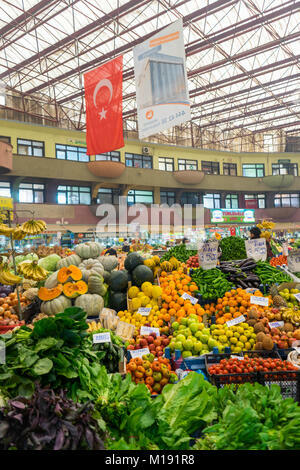 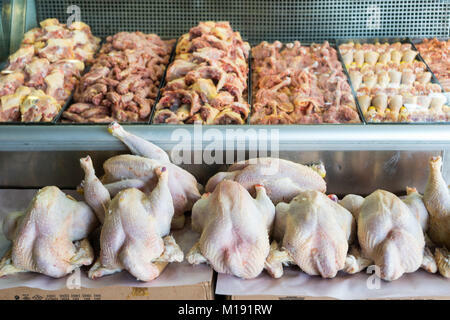 Konya, Turkey - December 16 ,2017: Vegetables and fruits in traditional Turkish grocery bazaar. 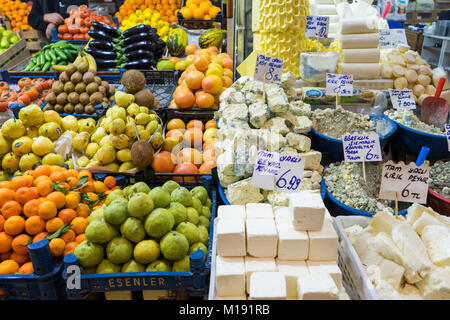 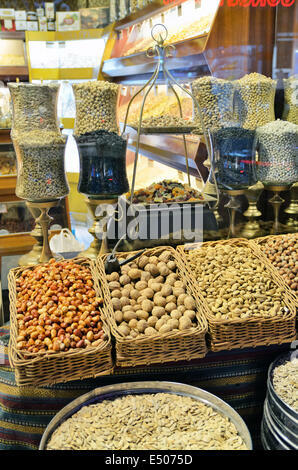 Konya, Turkey - December 16 ,2017: Vegetables, fruits and cheese, in traditional Turkish grocery bazaar. 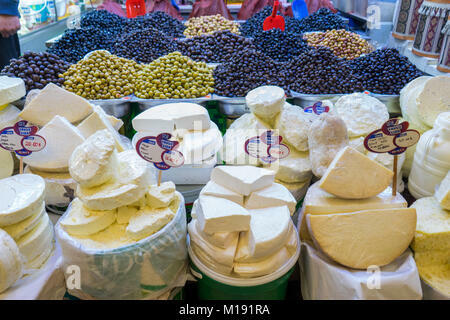 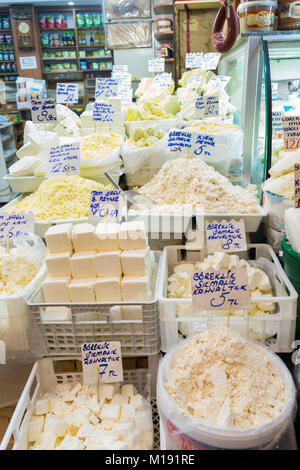 Konya, Turkey - December 16 ,2017: Cheese in traditional Turkish bazaar.